That's right! An antenna! Why? I'm not exactly sure. 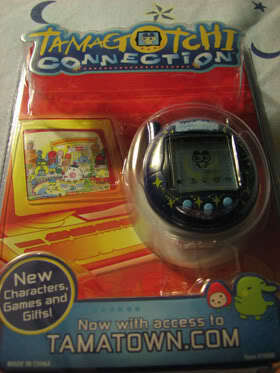 The Japanese version of this tamagotchi (also known as the Keitai) connects to cell phones, so that explains why the Japanese ones have antennas. 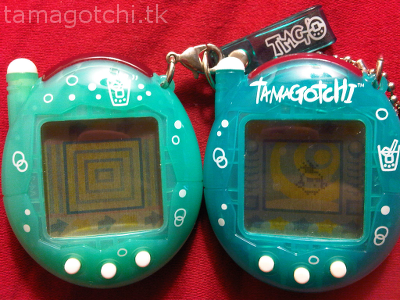 The American ones do not connect to cell phones, so no one is quite sure why Bandai decided to include the antenna in every version after the version 2 Tamagotchi up to the V5. Perhaps it serves as reminder of which version it's supposed to be. 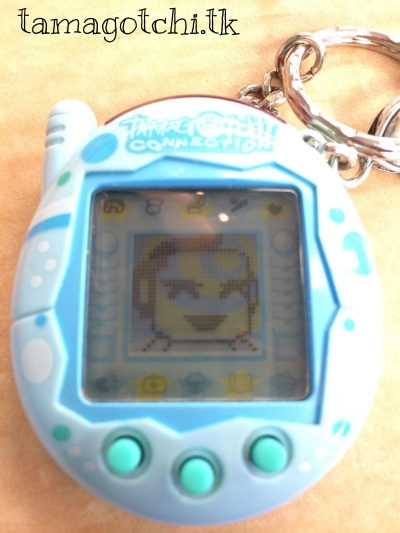 *shrug* This Tamagotchi functions just like the v1 and v2 except with a couple extra features and a bunch of different characters. 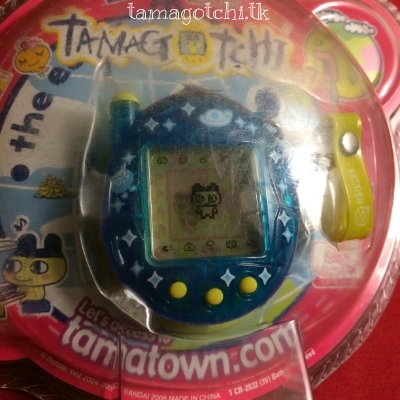 You can now log into the TamaTown.com website where you can enter your username from your tamagotchi. 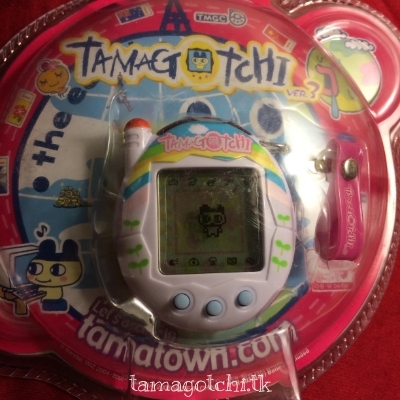 Once you enter the website you are presented with a bunch of fun games and shops where you can find souvenirs and item codes to input into your tamagotchi. 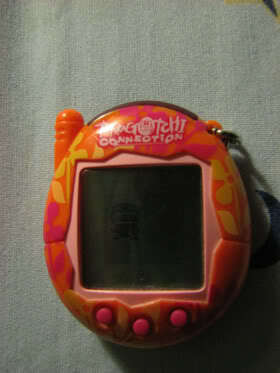 Essentially this is a website connection Tamagotchi. It also connects to the v1,v2 as well as other v3s and any higher versions that connect with V3s. It is personally one of my favorites :) And of course you don't necessarily need the website to have fun with it. There is still a shop in the Tamagotchi where you can buy items with the points you've earned from playing games. This one is broken, so maybe I'll fix it one day. I gave this one to my little brother. Here is a comparison between the Soda V3 and the Soda Keitai. 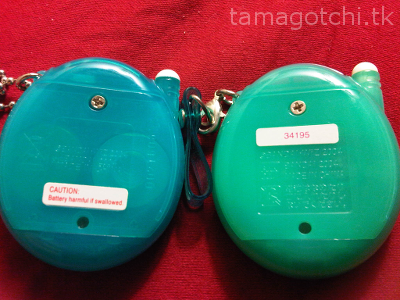 As you can see they are almost the same, but the V3 has the word "Tamagotchi" on top, and they are both a slightly different shade of blueish green. The background is also different. 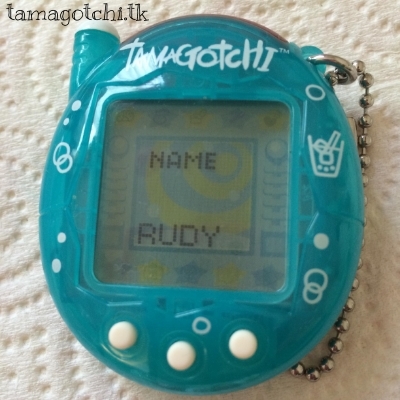 You can find a lot of v3's on eBay at the moment and they go for really cheap at about $10-25. Just watch out for the fake ones. What might look like a good deal at $3, could probably turn out to be a crummy boot-leg.